Lowered on coils. Whiteline sway bar. Cusco front strut bar. Megan racing rear control arms and camber arms. Esr wheels. 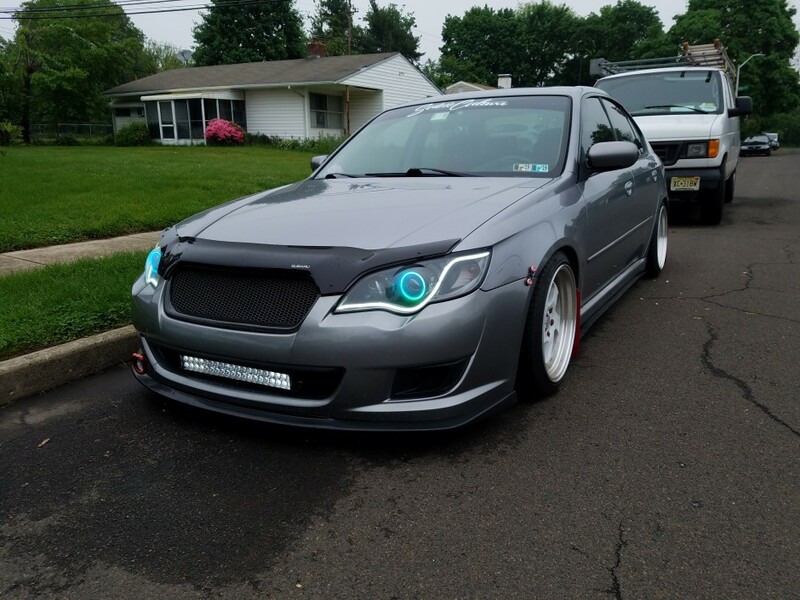 Custom headlights. Front lip. Side skirts. Custom diffuser. Light bar. Mud flaps. Hella horns. Carbon fiber grille. Custom shift knob. Custom shift and ebrake boot. Custom paint on trim. Kenwood head unit. Bride head rest pillows. Rear window vents. Cold air intake. Custom catback exhaust. And a ton of stickers lol.